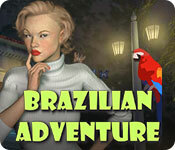 Brazilian Adventure is rated 3.8 out of 5 by 29. 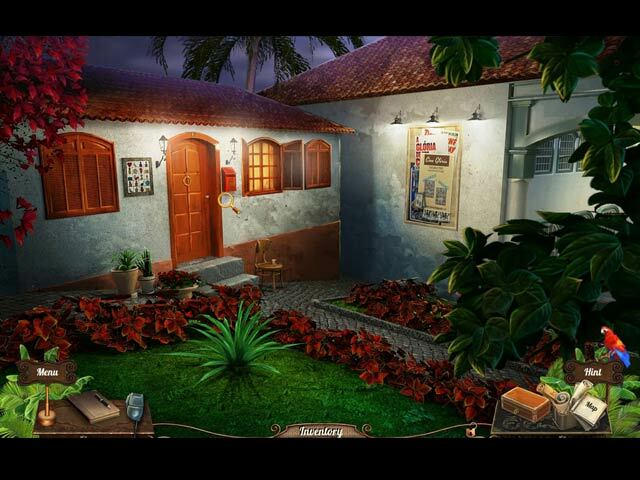 Rated 5 out of 5 by sunnyskies3 from Such fun with beautiful scenarios This game was such fun as it took me through different, beautiful scenarios of Brazil, from the airport to its destination. It has a delightful, light story line. The colors are bright and not dark and ugly as most adventure games have, which make this one special. One hint, without giving anything away; it has a hint button, but only use it after arriving to the scene that the map leads you to, otherwise, it will just tell you to check the map. Then, the parrot (at hint button) will fly over to where you should investigate within that "room" that you arrived at. Sounds odd, but that's how this game works. 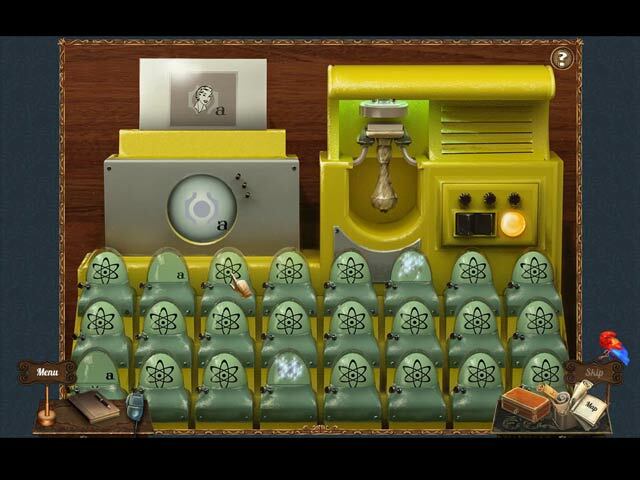 I recommend this to anyone that loves a "bright" game, with no vulgarity. It's refreshing! I do wish they would make more of these games. Rated 5 out of 5 by pattim53 from Good game! I don't review much, but I just wanted to say that this game was fun. I liked the drawings, as they were very vivid and the music was easy to listen to. I especially liked that the HO scenes kept the objects era related. And the game itself was kept era related. Rated 5 out of 5 by Sugoisteak from Great game, has anyone wanting for more! 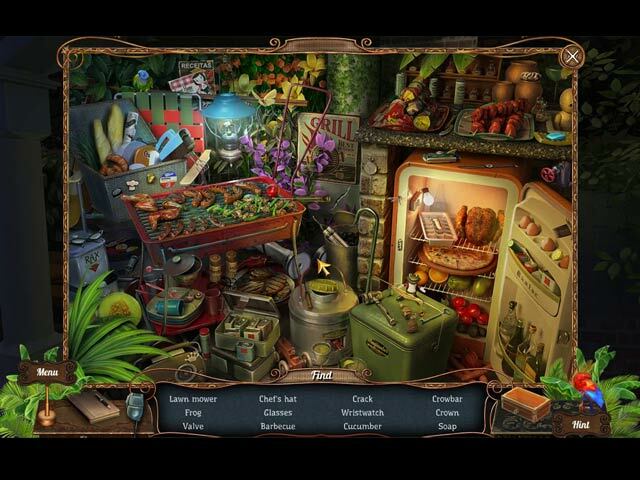 I don’t normally play or like hidden object games and actually prefer POV and MMPORGs so I was surprised when I was recommended this game. I played the demo to satisfy my curiosity and found myself enjoying the game for its storyline and bought it. I feel like this game really stands out compared to other HOGs (not that I know many though). I believe this game is quite flexible in range when it comes to players, and the storyline is interesting enough to attract people with different interests. In addition I actually don't really use BigFish Games and was introduced to Brazilian Adventures through steam. I could tell the devs really worked hard on this project! Rated 5 out of 5 by Kay_Erin from We're all going down to Rio with Fred and Ginger! By way of "Tintinegras" (sp?) a small Brazilian village! This is an awesome game. I totally loved the atmosphere of warm tropical nights, lush greenery and Portuguese culture, which we don't see nearly enough of. The characters were a hoot, straight out of a noir novel of the 50's! I didn't find all the little extras the first time around, so I'm playing it again; no problem, it is still as good. They play delightfully fun music during the HOS, laced with plenty of snarky comments if you are too slow for them! Made me laugh out loud! This was one game I loved the music and it was totally a perfect fit. I highly recommend this wonderful fresh game! Rated 5 out of 5 by Janetto from Fabulous Retro Game Pennmom36's review is spot on. This game is a breath of fresh air. Not a demon, evil spirit, witch, or flying dragon in sight. I would love to see more games like this offered by Big Fish. Rated 5 out of 5 by Anne3624 from Help! I have enjoyed this game and the reviews are right. We need more like this story. I love exotic hotels and suites and dining rooms! But I am stuck. There is no forum for this game. There is absolutely not a next step and the map tells me the next action is Sveta's room but I can't go in. I hope I didn't create a glitch. I really want to finish this one, so if I could get direction....I love it so far. Rated 5 out of 5 by applekingberk from THIS GAME IS GREAT This game is really good with a nostalgic air. If you love these types of games this game is the game to go. In 1950s Brazil, meet a cast of colorful characters and uncover a story of romance and intrigue set in the historic Tiradentes.